I want to hear from you! Please e-mail me for any reason! 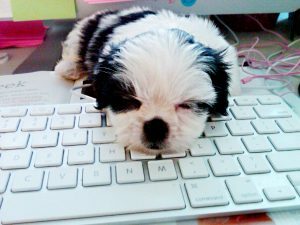 Gracie Lu Shih Tzu is open to reviewing products and participating in giveaways of your products. We are PR friendly and would love to connect with pet-related companies and services. We are also looking for Guest Post submissions. If you want to guest post for me, just say the word and send me an email!